It has been a little over two years since Cale Tyson was introduced to UK audiences, and with each added development the treat of this unwrapping keeps getting better. His latest mission to spread the word on the eastern side of the Atlantic has mainly been focussed on playing dates in mainland Europe, with just a brief schedule space to tag on a few UK shows before its conclusion. Among the venues selected to host an evening of Cale Tyson in majestic form, you can now add the Hare and Hounds in Birmingham, with the five-piece band in pulsating form from the moment the opening bars of ‘Staying Kind’ fired the started gun. This track also has a similar role in getting Cale’s latest album CARELESS SOUL underway and over the duration of this set, which stretched to around an hour and half, we were regularly reminded why this is such a good record. UK label Clubhouse Records gave its release a leg up over here and word is out that it’s likely to get a fresh impetus elsewhere in the not too distant future. It essentially painted the Cale Tyson canvas in distinct shades of country soul, with its architect this evening reminiscing on the production process at FAME studios in Muscle Shoals Alabama. While budget dictates that the horns don’t travel, the soulful keys of Caleb Hickman do an excellent job of replicating the essential vibes as exemplified in numbers such as the title track, ‘Gonna Love a Woman’ and ‘Somebody Save Me’. The latter has been syphoned off for specific online promotion shortly and is a wise choice among a glut of fine songs primed for airing. 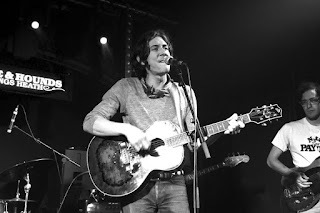 As folks who have been won over by Cale’s impish cutting charisma will concur, the protagonist was in imperious form during the entirety of the show. This is a performer who makes country music on his own terms and far from being possibly misinterpreted as a revivalist, is highly progressive in how he portrays his outlook. Of course there are traditionalist elements and influences, with more than a hint of classic driven seventies country rock fuelling the band’s performance. Joining a host of self-penned tracks from CARELESS SOUL and the INTRODUCING CALE TYSON album, which amalgamated a couple of past EP releases, there was an interesting selection of covers spanning the wide spectrum of American roots music. While Waylon Jennings and Willie Nelson numbers were staple stock, a superb version of Pops Staples’ ‘Friendship’, splendidly sung by Caleb, and the finale take on the Daniel Johnston song ‘Devil Town’ spiced up the set list menu. This Texas raised-Nashville based performer has an alluring persona onstage matching a vocal presence born to sing the achingly heartfelt country song. ‘Worst Liar’ didn’t disguise his politics nor did ‘Easy’ hold back condemnation of a Nashville dive bar. Perhaps Cale was at his most entertainingly compulsive when introducing the first encore piece ‘Traveling Man’; a brilliantly constructed song delivered in this instance in solo mode. This could easily have won the prize for the gig’s golden moment, although the pre-encore dual serving of ‘Lonesome in Tennessee’ and ‘Railroad Blues’ make extremely strong alternative candidates. 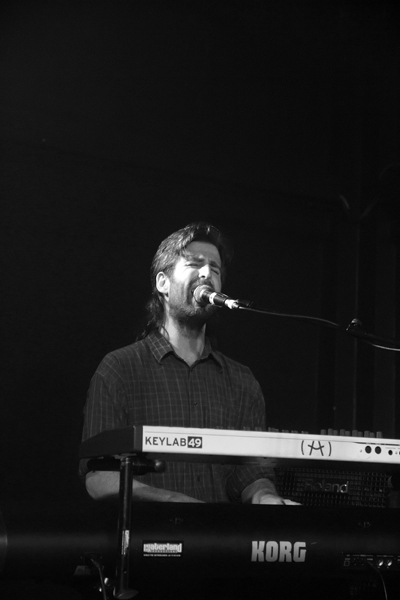 When Cale made his UK bow in 2015, he toured as a duo with Pete Lindberg, who was also the drummer in the first touring band twelve months later. 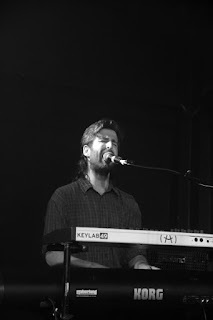 This year’s assortment of musicians assembled for what has proved an eventful European tour (for contrasting reasons) didn’t include Pete who is busy on alternative projects, but Cale and Caleb were ably assisted by Aaron Stern (bass), Juan Solórzano (lead guitar) and Ben Lumsdaine (drums). Together a tightknit approach worked wonders on the fantastic array of songs at their disposal. 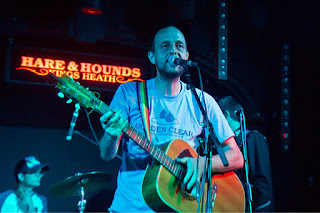 To give this Birmingham gig a local attraction, an interestingly conceptual outfit named Independent Country were invited to play a few songs in the opening set. 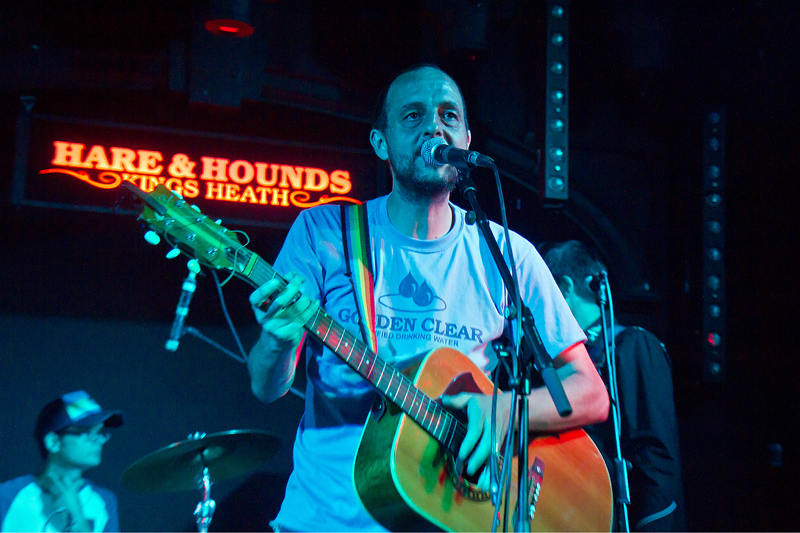 They are making their mark on the local live scene by re-interpreting a host of indie classics from artists such as Primal Scream, Inspiral Carpets and Spirtiualised. All presented in an impressive country style complete with lap steel and vibes more concentrated on rural USA than festival fields in rural UK. With the prevailing wind of justice heading in Cale Tyson’s direction, this enigmatic country music performer will get enhanced recognition from corners of the wider music world switched on by his style. This will hopefully lead to further excursions across the Atlantic and build more comprehensive tour schedules on the north side of the English Channel next time. His music and stage show never fails to deliver. 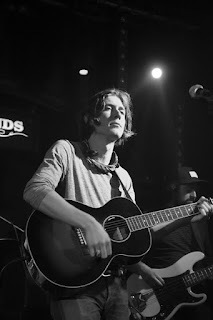 It has been a privilege to support the music of Cale Tyson since its UK inception and this inaugural Birmingham show ensured that momentum continues to build.